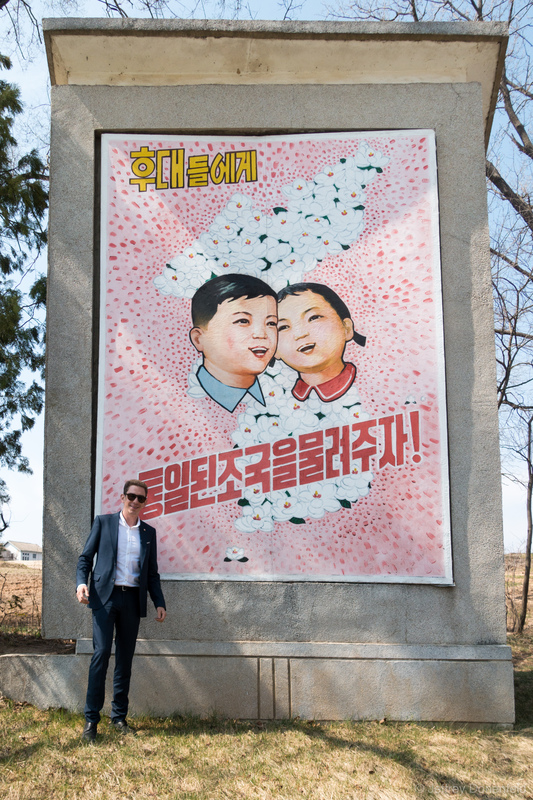 Approaching the DMZ area, there were lots of giant, colorful posters promoting unification of North and South Korea. The posters really were wonderful works of art - even though the only ones to see them are tourists. Approaching the DMZ area, there were lots of giant, colorful posters promoting unification of North and South Korea. The posters really were wonderful works of art – even though the only ones to see them are tourists.